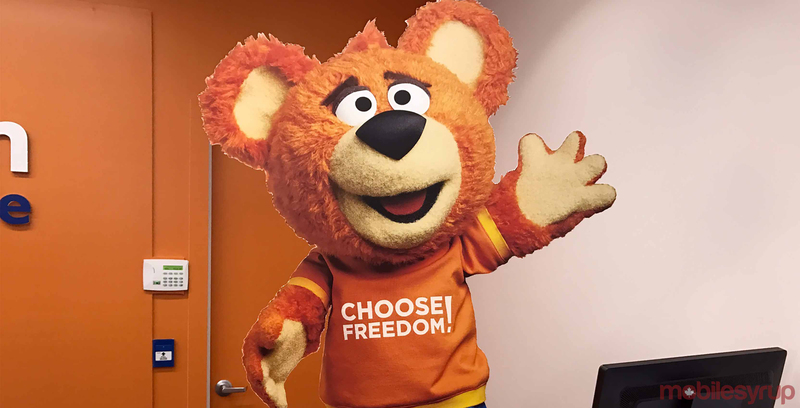 Shaw, the parent company of Freedom Mobile, made its ambitions to become a national wireless contender clear in its final submission to the Minister of Innovation’s 600MHz consultation. Shaw’s submission offers some strong opinions on the current state of the wireless industry in Canada, and suggests that the government should go beyond the amount it proposed to set aside for new competitors — 30MHz — and bump up the set-aside amount to 40MHz. 600MHz wireless spectrum is a low-band spectrum that provides significant range and is able to penetrate through obstructions, like concrete, much better than high frequency spectrum. Shaw says this low-frequency spectrum is crucial to the development of a major wireless competitor in Canada, and its lack of availability is one of the key reasons that the nation’s wireless market is currently dominated by just three major players: Bell, Telus and Rogers. “Shaw is ready to step up and complete the job of creating a compelling alternative in Canada’s wireless market, but we cannot achieve these aspirations without the amount and type of spectrum we need to build a stronger network for Canadians,” said Jay Mehr, president of Shaw, in a press statement. Shaw adds in its filing that this auction may be the “last foreseeable opportunity” for acquisition of low-frequency spectrum. Following the release of the consultation by Innovation, Science and Economic Development (ISED) Minister Navdeep Bains, the Big Three — Bell, Rogers and Telus — all came out against the idea of setting aside spectrum for new competitors like Shaw’s Freedom Mobile. A future 600MHz purchase would add to Freedom Mobile’s growing spectrum holdings, which were just recently enhanced by seven 700MHz and 2500MHz spectrum licenses purchased from Videotron. The comments period for the 600MHz spectrum auction has now closed.